On Monday the BFS Boys Varsity Volleyball team defeated St. George Academy 3-0 (25-13, 25-13, 25-7) at St. Francis College. The team now boasts an impressive 11-1 overall record. The team played very consistently and focused against their opponent. The team managed to keep playing their game, as they dictated the pace. The players continued working on making progress with their transition. Griffin E. served a season high 9 aces in one game, and added 25 assists to go with it. Tyler V. keeps improving on his offense game, accumulating 6 kills. Quran D. and Juan A. served very consistently combining for 3 aces and 3 kills. Thomas C. and Lucas M. each played a balanced match adding 16 kills and 2 blocks. The team continues preparing for what promises to be, an exciting playoffs run, in our first year as part of the league! Blue Pride!! 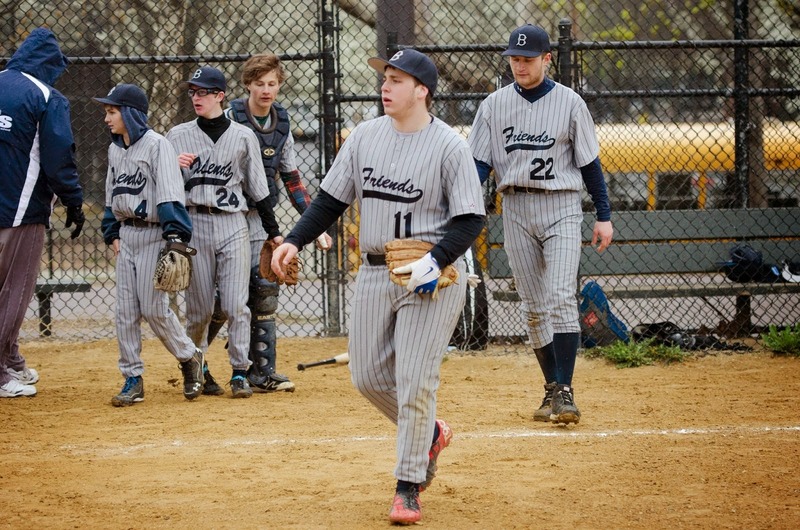 The BFS Boys Varsity Baseball team defeated Friends Seminary 10-3 in Red Hook. The team jumped out to an early 4-0 lead and never looked back. Freshman Emmitt S. got on base each of the first three innings and scored runs for BFS. Fellow freshman Miles N. also scored three runs for BFS batting out of the two hole. Sophomores Sammy H. and Henry J. had key RBIS hits during the first inning. Senior Adam G. had one of his best games of his career. He powered the Panthers as he went 2-3, with 2 doubles, racking up 5 RBI’s, and a walk. He pitched a complete game picking up 10 strikeouts along the way, while not allowing an earned run. The team played solid defense making all the routine plays. Junior catcher Adam W. made two sparkling throws to cut down runners attempting to steal second base. Congrats to the team and Coach Joe! Blue Pride!! 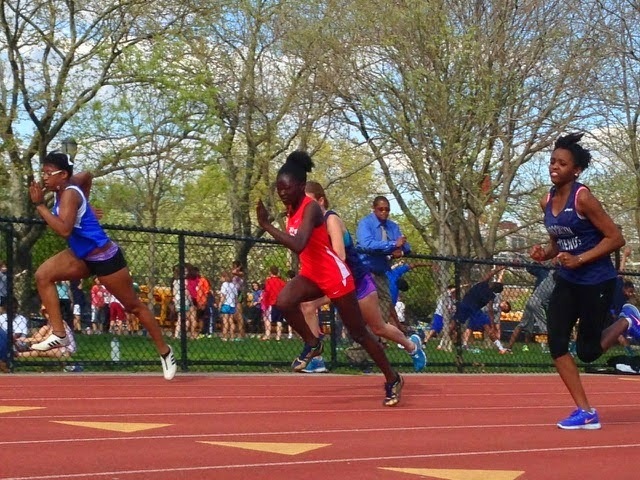 On Tuesday the BFS Boys & Girls Varsity Outdoor Track team competed in an ACIS Meet at Red Hook. Three BFS team members traveled to Red Hook on a beautifully sunny day, there wasn’t a cloud in the sky, to compete in the final regular season ACIS track meet. Freshman Alexia S. and sophomore Grace M. showed competitive fire in their 100M race. In addition, Alexia demonstrated multitasking skills as she shuttled between her physics project which was also taking place at Red Hook. Alexia and Grace each showed improvement in their tactics and technique for the 100M. Alexia’s blasted out of the blocks with the leaders and held form for a solid performance in her race. Grace gathered well in her race and had a strong surge in the last 20 meters and crossed the tape with a time much faster than her previous race. The young ladies ran well and are in their final preparations for the championship race on Monday. On the boys side, freshman Nat E- H has flirted with running since middle school. He finally toed the line for his first mile race in a BFS blue singlet. Nat diligently followed the race instructions and went out at conservative pace. He subsequently passed the first 400M of the race in 86 seconds which placed him in the middle of the pack. Nat looked comfortable as he maintained his position in the race over the next two laps. The final lap of the mile is a test of will. Nat met this test as he eyed a competitor from Friends Seminary about three seconds in front of him as he entered the final lap. Grit and determination drove Nat through his last lap as he worked to pass the runner in front of him. His bid fell short by only two tenths of a second. The memory of how well he can compete will, however, motivate Nat for the championships this Monday. All in all, it was a great day for running. Blue Pride!! On Wednesday the BFS Boys Varsity Volleyball team defeated Packer 3-0 (25-13, 25-14, 25-13) in the upper gym. The team improved to 12-1 (9-0 in PSAA Eastern Division). Today the team played a totally focused and determined match in front of a great home crowd to control the pace of the match. From the first point until the last, everyone was aggressive and on task contributing to each point, playing as a unit. The team dominated the match, beating a very strong and competitive opponent. Thomas C. once again dominated the offense, accumulating 25 kills, and 8 blocks. Griffin E. continues showing great improvement with his transition and decision-making, adding 37 assists. Tyler V. and Philip C. continue contributing at the net, combining for 11 kills. Quran D. continues his overall balanced game, adding 3 kills and 2 aces. Lucas M. completes our rotation both defensively and on offense, always being a force at the net and on the back row. Juan A. shows a better understanding of his role, and continues improving in each game. Overall, one of our best matches of the season heading to the playoffs! Blue Pride!! The BFS MS Boys Baseball team defeated LFNY 9-8 at Red Hook. Eighth grader Jackson W. was on the hill. He picked up eight strikeouts and knocked in the game winning RBI with a single. 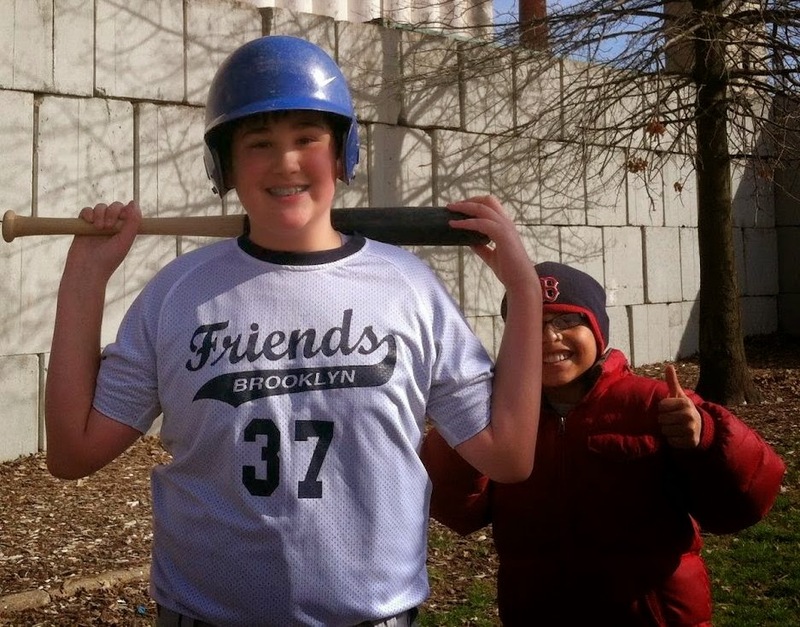 Seventh grader Patrick D. contributed offensively with 2 RBI’s and fellow seventh grader Luca J. picked up a RBI. Discipline at the plate led to every member of the team reaching base during the game. BFS led 8-6 in the bottom of the fourth inning, but LFNY tied the game in the top of the 5th inning. Eighth grader Ben B. scored the winning run for BFS as the team walked off with the exciting victory. Great job team! Blue Pride!! 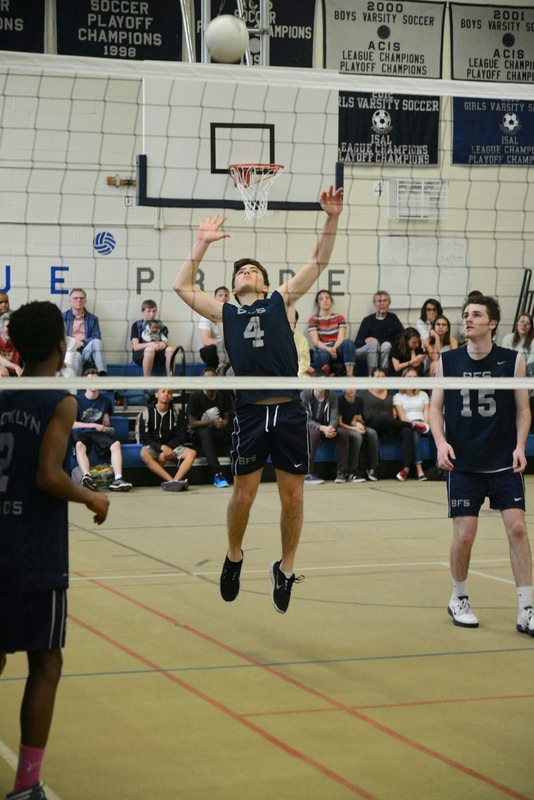 On Friday the BFS Boys Varsity Volleyball team defeated LFNY 3-0 (25-17, 25-13, 25-13) in the upper gym. The team improved its record to a very impressive 13-1. The team continued playing with great flow and control of the ball to pick up the victory. All of our players continue showing great progress, intensity, and focus. Griffin E. had a great balanced game, accumulating 10 assists, 3 blocks and 3 kills. Thomas C. continues dominating the offense end with 9 kills and 5 aces. Lucas M. and Philip C. showed a strong presence at the net blocking and stopping the opposition. Quran D., Tyler V., and Juan A. continue improving their overall play both offensively and defensively. It was a great team effort which completed another very successful week. The team is focused on finishing up the regular season strong and they are pumped up for their first ever playoff action. Blue Pride!! 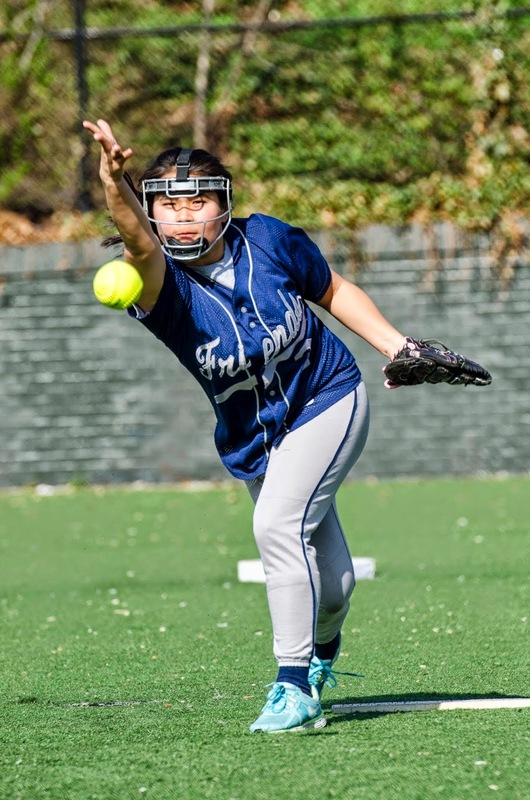 The BFS Girls Varsity Softball team defeated Garden 12-9 down at Red Hook. The team played shorthanded as some players had exam and other commitments on this overcast Friday afternoon. The team headed down to Red Hook with only 10 players. for its final regular season game.Thanks to our groundskeeper for getting the field ready. Everyone new they were going to play and play the whole game they did. Sophomore Taty R. once agin took the hill for BFS. She gave up one running to start the game while picking up two strikeouts. The team got off to a good start on offense during the bottom half of the inning, Taty R. lined a single, followed by a crushing junior Julia B. RBI double, and senior Chloe B. and freshman Ivy L. each picked up RBI singles. Taty struckout the side during the top half of the second inning, but BFS also went down one, two, three. Both team scored two runs during the third inning and BFS was still up two runs at 5-3 after three innings of play. BFS struggling with the wet infield and did not make the routine plays on grounders as their throws were a little off. Garden picked up three runs during the top half of the fourth inning and took the lead 6-5. BFS answered back with one run to tie thing up at six, as junior Julia C. led off the inning with a walk and later scored. BFS gave back two more in the top of the 5th and luckily two fly balls found Ivy’s glove in center field otherwise things may have been a lot worse. BFS had there big hitters up in the bottom half of the 5th but were only able to score one run on a lead off walk from Taty. Going into the 6th BFS found themselves down 8-7. Taty did a great job in the top half of the 6th getting out of some trouble as she was able to get a Garden batter to hit it back to her with the bases loaded and only one out. She calmly threw home to a waiting Julia C. who has done a tremendous job stepping in as our teams third string catcher. BFS needed one more great play from Taty and Julia C. to get out of that inning basically unharmed, as the Garden hitter hit one up in the air both BFS players converged on the pop up and it bounced around and around off the two players but they both held on before it hit the floor and BS got out of the jam. BFS only ended up giving up one run and now found themselves down two going into the bottom of the 6th inning. It was now or never for BFS as it was getting late and the overcast sky has now began sprinkling down on us. Ivy who is freshman but was clam as could be lined a ball up the middle to get BFS’ inning started on the right foot. Julia C. is has been improving with every at bat laid down her second perfect bunt of the game down for an infield hit. This one was even better than the first one. So now BFS has two runner son and the go ahead hitter coming to the plate. Sophomore Sarah G. moved the runners over with a groundout. Freshman Sophie E. walked to load up the bases for BFS. The next BFS batter went down on strikes. That would bring up our lead off batter junior Maret S-M who was batting leadoff all season for a reason as she took a bases loaded walk and picked up and RBI. BFS was still down one with two outs and the bases loaded. Taty stepped up in the two hole with a chance to help herself and the team out. She smacked a line drive 2RBI single up the middle to give BFS a one run lead. Taty finished the game going 3-3 with a walk, 2 RBI’s and 4 runs scored. Julia B. who had already stroked two nice doubles was up in the three whole, Julia stayed hot and laced a 2 RBI single to give BFS a three run lead. Chloe hit a hard grounder to Garden’s shortstop who played a great game in the field all afternoon, she threw a strike to first barely getting Chloe out. Taty took the mound for the final inning and got the all important first out, as she caught Garden’s line drive. BFS got out of the inning allowing no runs. Taty picked up the victory on the hill and finished the complete game with 9 strikeouts. It was a real team effort. Thanks to everyone involved today, the players, coaches, parents, fans, and groundskeeper….Blue Pride!! Next up ISAL Semifinals on Monday versus BWL at Van Voorhies, first pitch 3:30pm.